THE Philippine Atmospheric, Geophysical, and Astronomical Services Administration (Pagasa) lifted the Tropical Cyclone Warning Signal (TCWS) Number 1 over Cuyo Island at 5 a.m. Thursday, November 22. Tropical Depression Samuel has maintained its strength as it moves over the West Philippine Sea. 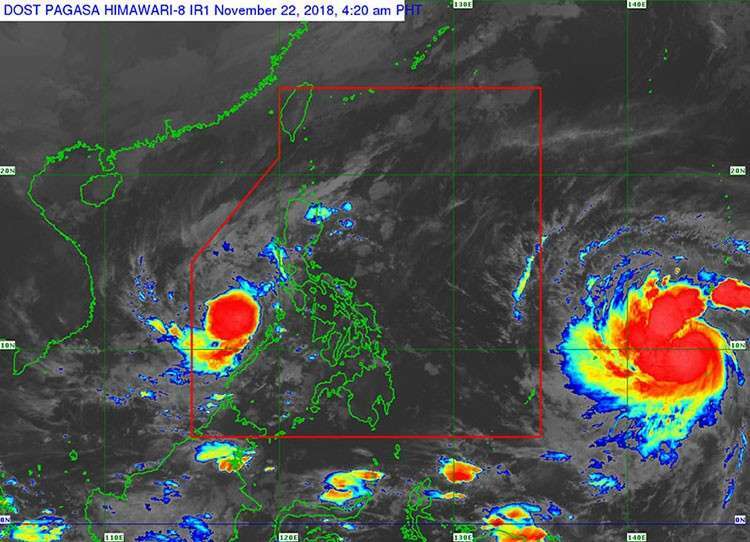 Pagasa said that as of 4 a.m. Thursday, the center of Samuel was at 90 km north northwest of Puerto Princesa City, Palawan. The tropical depression was still packing maximum winds of 45 kilometers per hour (km/h) near the center and gusts of up to 65 km/h. It was moving west at 25 km/h. Pagasa said moderate to heavy rains, which may trigger flooding and landslides, are still expected over Palawan including Calamian Group of Islands.